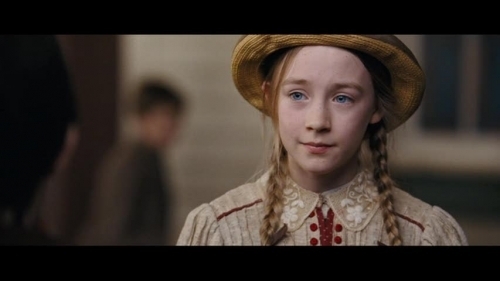 My puncak, atas 3 favorit Saoirse movies: Your favorite? Do anda think Saoirse looks better with long atau short hair? Saoirse vs Saoirse. which outfit? how play lindsay ikan salmon, salmon in real life? Saoirse Ronan says Irish people pronouce her name as "Seer-sha", but that she herself would pronounce it as "Ser-sha", like "inertia"---being Irish for "freedom". Saoirse's middle name is Una, which means "unity" in Ireland, and her last name, Ronan, means "seal". "So I'm a free, unified seal." - a komentar oleh Saoirse Ronan on her name. * Her family is Catholic. * She was born in New York City. * She supports the Irish Blue Cross, the charity that reunited her with her runaway dog, Sassie. a pop quiz question telah ditambahkan: Which brand of perfume is she the face of? a pop quiz question telah ditambahkan: Which character did she audition for on Harry Potter and The Order of the Phoenix? a pop quiz question telah ditambahkan: What are her parents names? a pop quiz question telah ditambahkan: She has a Citizenship with both the United States and ? What movie is this foto from?